Thank you so much to Dominic and Lola, founders of this beautiful collection for being kind enough to let me go ahead and give them a bit of a ‘try out’ in the first place. Yet another ‘road test’ for potential spa work, and this time I really have been wowed! The packaging is a feast for the eyes indeed, and the contents of these beautiful boxes and glass bottles surely didn’t disappoint either. The biggest issue was in which of these glorious potions to envelop myself first. 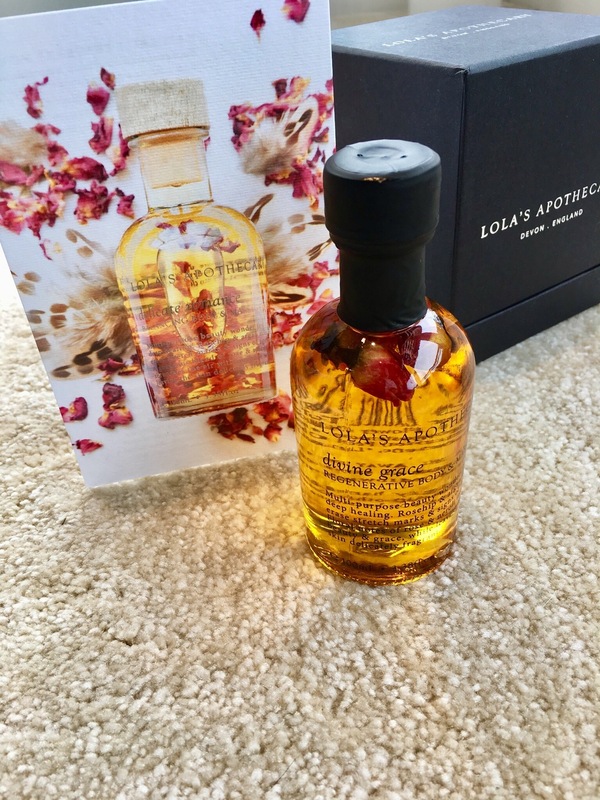 I tried the Delicate Romance bath and shower oil, a rich golden oil with a heady rose perfume and intensified with floating rose petals. I added just a few drops to the bath and the entire apartment was filled very strongly with the fragrance, it was truly gorgeous!! Despite just a couple of drops my skin was silly soft and not greasy to touch at all. I experienced it all over again with the Sweet Lullaby bath oil too, this one a beautiful blend of Lavender, Vanilla, Sweet Orange, Ylang and Patchouli, holy moly, that fragrance, a complete addiction. I know the friends that will also be addicted and I shall be advising accordingly. I am overwhelmed at how little you need to be overwhelmed with perfume and efficacy. To pair with this I used their Sweet Lullaby soothing body polish, not only did this do the job perfectly of refining dry patchy skin, and being so easy to smooth on with no clumping, but it was all I could do not to stick a spoon in it, it smells too good and like a delicious summer dessert! 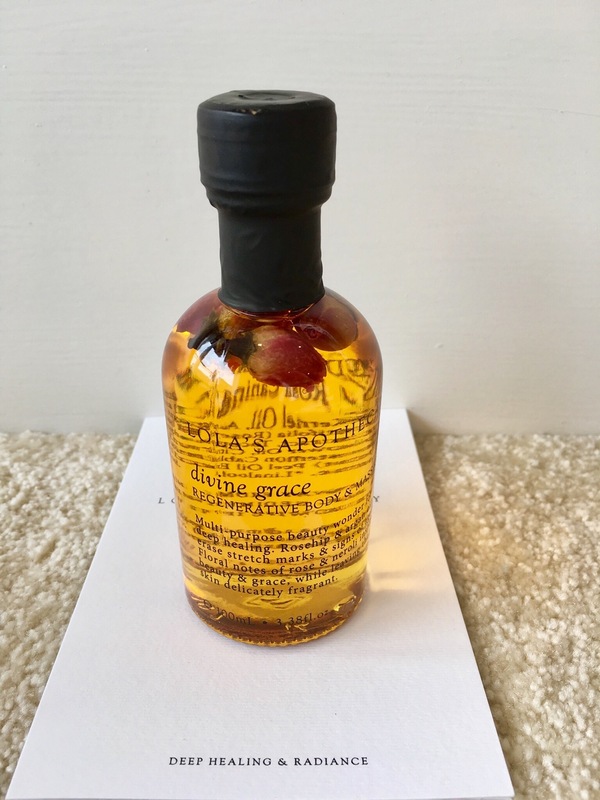 The Divine Grace body and massage oil with its generous helping of floating rose buds, disappears gently into the skin, and as a grease free moisture is a treasure, the scent is pure and gentle and no need to follow with any EDT or EDP, this little wonder does the lot! I have yet to try the Queen of Roses Milk Bath, this I have saved for tonight’s bathing ritual, and looking forward to a decadent Cleopatra styled soak, I know I won’t be disappointed. 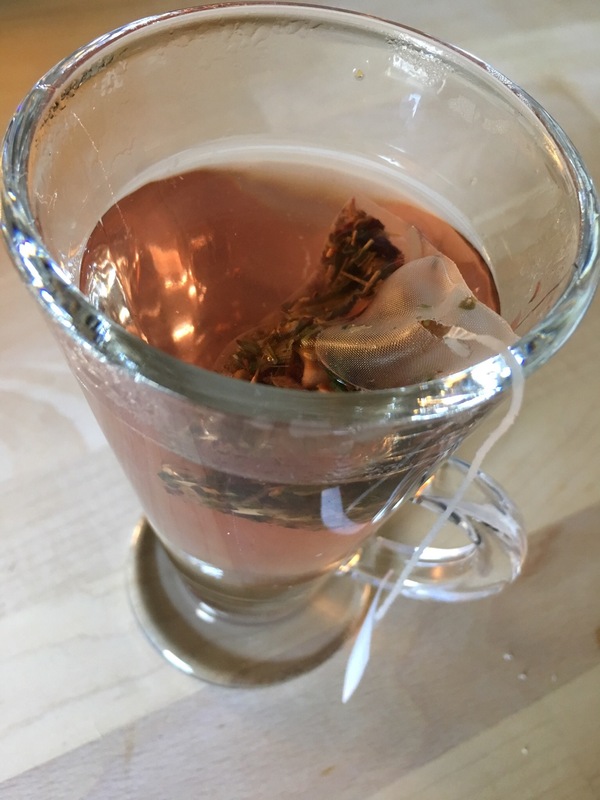 At time of writing, I am drinking one of their signature teas, Clementine Calamity to promote relaxation and wellness, created with calming flowers , refreshing and tickles the taste buds indeed! A spa filled with this gorgeous, fragrant and aesthetically beautiful gifts from Mother Nature ensemble would be simply divine! 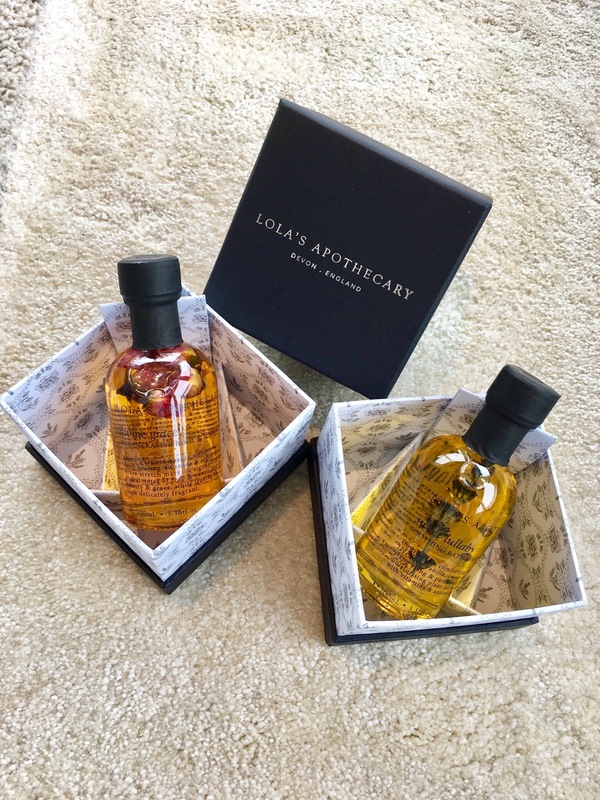 Thank you Lola’s Apothecary, a true delight that needs discovering by purveyors of a happy and beautiful lifestyle.